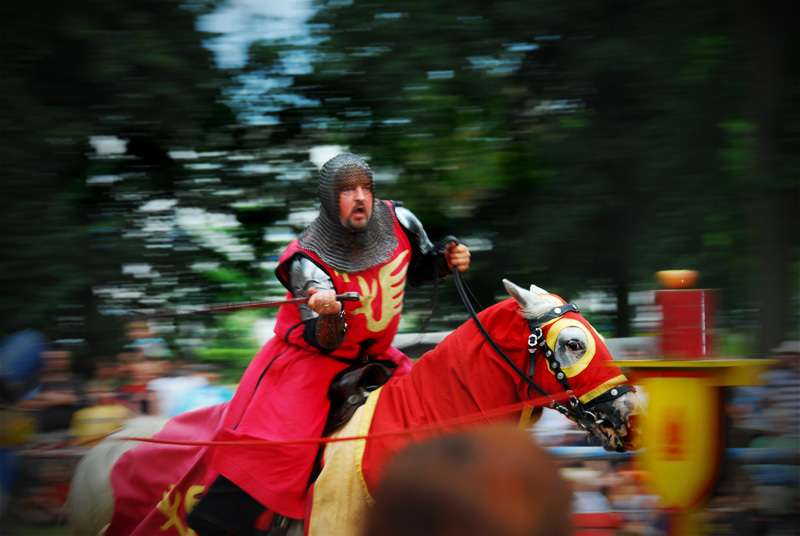 This is from a joust at a middle age festival in some german town in Mecklenburg-Vorpommern, not too far from the Polish border. I took an awful lot of shots there, but failed at nailing the focus on most of them. I didn't have a very big window of opportunity, as my position was mediocre at best, but a few pictures turned out okay.